Dublin is known for museums, breweries, historic sites, nightlife, and parks. Your plan includes some of its best attractions: contemplate the long history of Kilmainham Gaol, admire all the interesting features of Croke Park Stadium, stroll through St. Stephen's Green, and enjoy the scholastic atmosphere at Trinity College Dublin. Ask Inspirock to suggest an itinerary and make planning a trip to Dublin fast, fun, and easy. San Diego, USA to Dublin is an approximately 16-hour flight. You can also do a combination of train and flight; or do a combination of train, bus, and flight. The time zone difference moving from Pacific Standard Time to Greenwich Mean Time is 8 hours. While traveling from San Diego, expect a bit cooler days and much colder nights in Dublin, ranging from highs of 62°F to lows of 48°F. Finish up your sightseeing early on the 6th (Fri) so you can travel to Lisbon. Get out of town with these interesting Lisbon side-trips: Sintra (Quinta da Regaleira & Sintra National Palace). There's much more to do: admire nature's wide array of creatures at Lisbon Oceanarium, take a tour by water with Nosso Tejo, take in the spiritual surroundings of Jeronimos Monastery, and see the interesting displays at National Museum of Ancient Art. To find reviews, photos, maps, and more tourist information, refer to the Lisbon trip site . You can fly from Dublin to Lisbon in 6 hours. Another option is to do a combination of ferry, train, and bus. Plan for a bit warmer temperatures traveling from Dublin in September, with highs in Lisbon at 81°F and lows at 61°F. Cap off your sightseeing on the 10th (Tue) early enough to travel to Barcelona. Spend the 14th (Sat) among aquatic life with a scuba or snorkeling tour. Next up on the itinerary: admire the striking features of Basilica of the Sagrada Familia, stroll through Park Guell, explore and take pictures at Camp Nou, and see the interesting displays at Museo Picasso. For ratings, other places to visit, and more tourist information, use the Barcelona trip planner . Traveling by flight from Lisbon to Barcelona takes 5 hours. Alternatively, you can do a combination of bus and train; or drive. Traveling from Lisbon to Barcelona, you'll lose 1 hour due to the time zone difference. September in Barcelona sees daily highs of 79°F and lows of 65°F at night. Finish your sightseeing early on the 14th (Sat) to allow enough time to travel to Venice. Venice is known for historic sites, nature, museums, nightlife, and shopping. Your plan includes some of its best attractions: contemplate the waterfront views at Canal Grande, explore the world behind art at Gallerie dell'Accademia, take in the views from Ponte dei Sospiri, and contemplate the long history of St Mark's Campanile. To find ratings, where to stay, photos, and other tourist information, you can read our Venice trip website . Traveling by flight from Barcelona to Venice takes 5 hours. Alternatively, you can do a combination of flight and train; or drive. Expect little chillier evenings in Venice when traveling from Barcelona in September, with lows around 59°F. Cap off your sightseeing on the 17th (Tue) early enough to catch the train to Florence. For traveler tips, ratings, other places to visit, and other tourist information, read our Florence online trip planner . You can take a train from Venice to Florence in 2.5 hours. Alternatively, you can drive; or take a bus. September in Florence sees daily highs of 78°F and lows of 59°F at night. Wrap up your sightseeing on the 20th (Fri) to allow time to take a train to Rome. Go for a jaunt from Rome to Tivoli to see Villa Adriana about 38 minutes away. There's lots more to do: delve into the distant past at Colosseum, steep yourself in history at Palatine Hill, appreciate the extensive heritage of Piazza Navona, and admire the local landmark of Trevi Fountain. To find where to stay, more things to do, traveler tips, and tourist information, read our Rome online sightseeing planner . Traveling by train from Florence to Rome takes 1.5 hours. Alternatively, you can drive; or fly. In September, daytime highs in Rome are 81°F, while nighttime lows are 60°F. Finish up your sightseeing early on the 25th (Wed) so you can travel to Athens. Athens is known for historic sites, museums, shopping, nightlife, and fun & games. 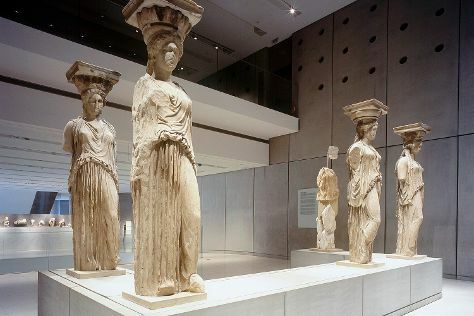 Your plan includes some of its best attractions: delve into the distant past at Acropolis of Athens, wander the streets of Plaka, examine the collection at Acropolis Museum, and explore the world behind art at National Archaeological Museum. To see traveler tips, other places to visit, reviews, and other tourist information, you can read our Athens online visit planner . Traveling by combination of train and flight from Rome to Athens takes 5.5 hours. Alternatively, you can fly; or do a combination of train and flight. Traveling from Rome to Athens, you'll lose 1 hour due to the time zone difference. Traveling from Rome in September, plan for a bit warmer nights in Athens, with lows around 69°F. Finish your sightseeing early on the 28th (Sat) to allow enough time to travel to Istanbul. Istanbul is known for historic sites, museums, shopping, nature, and nightlife. Your plan includes some of its best attractions: get engrossed in the history at Hagia Sophia Museum / Church (Ayasofya), steep yourself in history at Basilica Cistern, contemplate in the serene atmosphere at Suleymaniye Cami , and admire the landmark architecture of Dolmabahce Palace. To find other places to visit, more things to do, traveler tips, and tourist information, refer to the Istanbul trip itinerary builder website . Getting from Athens to Istanbul by flight takes about 5 hours. Other options: do a combination of flight and shuttle; or drive. The time zone difference moving from Eastern European Time (EET) to Eastern European Time (EET) is 1 hour. When traveling from Athens in September, plan for slightly colder days in Istanbul, with highs around 72°F, while nights are about the same with lows around 72°F. Cap off your sightseeing on the 2nd (Wed) early enough to travel to Budapest. Change things up with a short trip to Eger Castle (Egri Var) in Eger (about 2 hours away). And it doesn't end there: get a sense of history and politics at Parliament, snap pictures at Szechenyi Chain Bridge, contemplate in the serene atmosphere at Dohány Street Synagogue, and don't miss a visit to Fisherman's Bastion. To find ratings and tourist information, read our Budapest day trip planning app . You can fly from Istanbul to Budapest in 6 hours. Other options are to do a combination of shuttle and flight; or drive. The time zone difference when traveling from Istanbul to Budapest is minus 2 hours. Traveling from Istanbul in October, expect nights in Budapest to be cooler, around 43°F, while days are slightly colder, around 61°F. Cap off your sightseeing on the 6th (Sun) early enough to catch the train to Vienna. 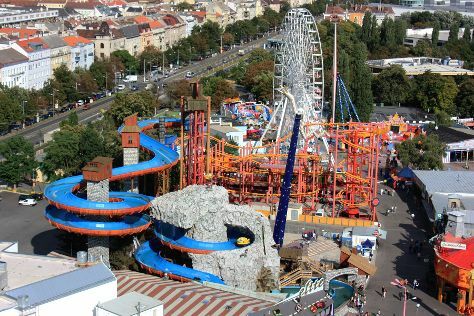 Pack the 10th (Thu) with family-friendly diversions at Prater. Pack the 11th (Fri) with family-friendly diversions at Riesenrad. Next up on the itinerary: admire the natural beauty at Schonbrunn Palace, admire the landmark architecture of St. Stephen's Cathedral, explore the world behind art at Kunsthistorisches Museum Wien, and examine the collection at MuseumsQuartier Wien. For traveler tips, reviews, maps, and other tourist information, use the Vienna trip planner . Traveling by train from Budapest to Vienna takes 2.5 hours. Alternatively, you can drive; or take a bus. In October in Vienna, expect temperatures between 58°F during the day and 45°F at night. Finish up your sightseeing early on the 11th (Fri) so you can travel to Prague. Prague is known for historic sites, nightlife, museums, fun & games, and zoos & aquariums. Your plan includes some of its best attractions: snap pictures at Charles Bridge, get great views at Vyšehrad National Cultural Monument, get the lay of the land with Walking tours, and pause for some serene contemplation at St. Vitus Cathedral. To find traveler tips, other places to visit, photos, and other tourist information, use the Prague day trip app . Traveling by flight from Vienna to Prague takes 3 hours. Alternatively, you can drive; or take a bus. Expect a daytime high around 56°F in October, and nighttime lows around 43°F. Cap off your sightseeing on the 15th (Tue) early enough to travel to Amsterdam. You'll find plenty of places to visit near Amsterdam: Scheveningen beach (in Scheveningen) and The Hague (Binnenhof & Ridderzaal (Inner Court & Hall of the Knights) & The Mauritshuis Royal Picture Gallery). 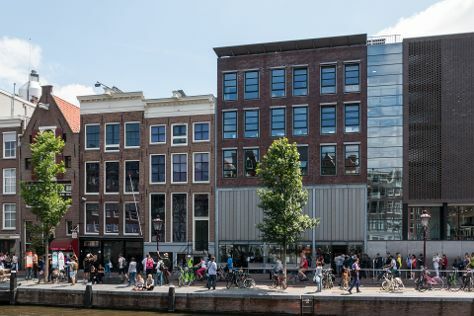 The adventure continues: take an in-depth tour of Anne Frank House, admire nature's wide array of creatures at ARTIS, choose your vessel at Flying Dutch Boats, and tour the pleasant surroundings at Vondelpark. For maps, reviews, where to stay, and other tourist information, you can read our Amsterdam trip planner . Traveling by flight from Prague to Amsterdam takes 4.5 hours. Alternatively, you can do a combination of flight and train; or drive. In October, daytime highs in Amsterdam are 59°F, while nighttime lows are 47°F. Wrap up your sightseeing on the 20th (Sun) to allow time to take a train to Paris. Step out of Paris with an excursion to Palace of Versailles in Versailles--about 48 minutes away. And it doesn't end there: take in panoramic vistas at Eiffel Tower, admire the striking features of Louvre Museum, examine the collection at Musee d'Orsay, and admire the masterpieces at Centre National d'Art et de Culture George Pompidou. To find maps, ratings, and more tourist information, go to the Paris trip itinerary builder app . Getting from Amsterdam to Paris by train takes about 3.5 hours. Other options: fly; or drive. 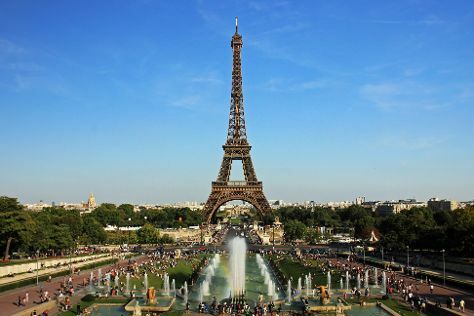 In October in Paris, expect temperatures between 62°F during the day and 48°F at night. Finish your sightseeing early on the 25th (Fri) so you can take a train to London. London is known for museums, nightlife, shopping, historic sites, and parks. Your plan includes some of its best attractions: get a new perspective on nature at Natural History Museum, take in nature's colorful creations at Buckingham Palace, ponder the world of politics at Houses of Parliament, and admire the masterpieces at Victoria and Albert Museum. For maps and more tourist information, read London online trip itinerary builder . Traveling by train from Paris to London takes 2.5 hours. Alternatively, you can fly; or do a combination of train, bus, and flight. The time zone difference moving from Central European Time (CET) to Greenwich Mean Time (GMT) is minus 1 hour. In October, plan for daily highs up to 61°F, and evening lows to 48°F. Finish your sightseeing early on the 30th (Wed) to allow enough time to travel back home.